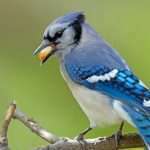 A backyard bird feeder can bring you a great deal of joy and entertainment. It can also cause frustration when you see squirrels helping themselves to your feathered friends’ food. Squirrels can also damage feeders and scare off the birds. 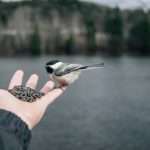 The best squirrel proof bird feeder attracts the types of birds that you want in your yard, looks attractive in your landscape and prevents other critters from helping themselves to a hearty meal. Learn more about what to look for in a squirrel proof bird feeder so that you’re not wasting bird food on four-legged wildlife. 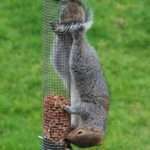 We’ve also reviewed the best squirrel proof bird feeders so that you can select the right one for you. 1.1 What Types Of Bird Feeders Keep Squirrels Out? 1.2 What Else Should You Look For In A Bird Feeder? Note: Some of the links below are affiliate links. You won’t pay any more for the item but I will get a small commission that I then use to help cover some of the web hosting costs for this site. Your support is very much appreciated! 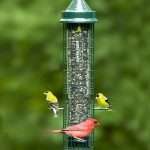 There are so many squirrel proof bird feeders on the market that you might wonder which ones really work and what you should consider when purchasing one. What Types Of Bird Feeders Keep Squirrels Out? There are three main types of squirrel proof bird feeders. 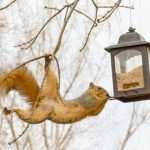 The first restricts access to the food when a mechanism is activated by the squirrel’s weight. Because birds are lighter than squirrels, they’ll still be able to get to the food when they’re perched on the feeder. The best squirrel proof bird feeders have an adjustable weight mechanism that lets you change the settings if you find that the clever animals are still getting to the bird seed. This can also serve as a deterrent for larger, more aggressive birds that can be a nuisance. Another type of squirrel proof feeder is surrounded by a wire cage. The cage should be small enough to keep squirrels out but allow birds to sit inside while they access the food. Some bird feeders have obstructions on the poles that prevent squirrels from accessing the food. A squirrel baffle is a cone-shaped device that can be installed on the pole so that the squirrel slides off before it can get any treats. A slippery dome can be installed over a hanging bird feeder to achieve the same goal. The best squirrel proof bird feeders that we reviewed all use the weight mechanism to deter heavy animals. You can also install a baffle if you mount them to a pole. What Else Should You Look For In A Bird Feeder? Bird feeders may seem simple enough, but there are several things to consider first. 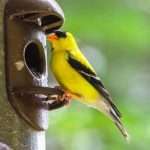 Bird feeders should be well-ventilated and easy to clean. If moisture builds up inside the feeder, it can serve as a breeding ground for mold and bacteria. 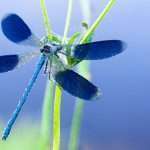 This can make the food harmful to the creatures that you’re feeding. The capacity of the bird feeder is important. This will determine how much food it holds and how often you’ll have to refill it. Although refilling a feeder frequently may seem inconvenient, it keeps the food fresher and gives you a chance to clean the product. Because your bird feeder will stay outside, it must stand up to the elements. Although wood may look nice, it’s more sensitive to moisture than powder-coated metal or plastic. Squirrels can chew through some plastic or wooden feeders. Those with thicker, sturdier designs will be more resilient. Squirrels can jump high and far. The pesky animals can access hanging feeders from branches or by running across the line that they’re hung on. They can also climb posts. The ideal way to mount a squirrel proof bird feeder is on a smooth pole that is at least six feet high and 12 feet away from fences, branches or trees. If you use a feeder with a weighted mechanism, make sure that it can’t be accessed from a nearby branch, fence or platform. A squirrel will be able to access the food if it only has to put some of its weight on the feeder. Click on any link below to read more about the item on Amazon. The Brome Squirrel Buster Classic comes with many features to make life easier for you but harder for squirrels. 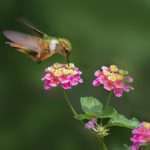 It uses a weight-sensitive mechanism to lock the feeding ports when a heavier animal perches on it. You cannot adjust the sensor to accommodate larger birds. However, the manufacturer offers other Squirrel Buster models that have adjustable weight trigger mechanisms. The materials that make up this feeder are designed to withstand the elements. It’s waterproof and rustproof. The components are also stabilized so that they don’t weaken with exposure to UV rays. Perhaps most importantly, the RoxResin and metals that are used to make the feeder is 100% chew proof. The feeder tube is surrounded by a cage that protects it from damage. The feeder is engineered with a patented seed ventilation system that allows hot, humid air to escape and oxygen to enter. This keeps the seed fresher, which can attract more birds to your yard. It comes apart easily for cleaning. No tools are required to disassemble the feeder. The product measures 5.3 inches in diameter and is 32 inches tall with the hanger. It holds 2.4 pounds of seed. This large bird feeder is approximately the same price as the Squirrel Buster Classic, but it holds up to 11 pounds of seed. It can be mounted to a post, pole or tree, or it can be suspended. The mounting hardware is included, but a pole does not come with the feeder. The adjustable spring mechanism closes the food access ports when a large bird or squirrel puts weight on it. This bird feeder is extremely durable. The metal is waterproof and rust resistant. Squirrels cannot chew it. It also features a slippery top that dissuades squirrels from hanging out on the roof. You can clearly see the seed inside, making it easy to determine when it’s time to refill it. 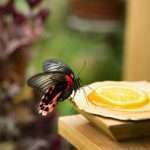 Because it can hold so much seed, however, you might have problems with spoilage if the birds are not feeding frequently. Also, you will need to make sure that it is securely mounted. A flimsy metal pole might bend under the weight. The Homestead Super Stop-A-Squirrel feeder is 12.5 inches wide, 10 inches deep and 11 inches tall. This ample-sized bird feeder holds 12 pounds of seed and lets multiple birds feed at once. 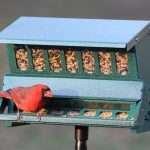 The two-sided feeder attracts many birds and lets them feed at the same time. The durable powder-coated steel is resistant to the weather and should hold up for years. Like the other bird feeders, this one shuts off access to the feeding area when a squirrel’s weight is put on the perch. 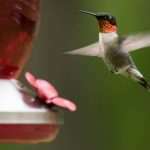 The feeder can be suspended from a branch or hook, or it can be mounted to a pole. It cannot be installed against a fence post or a tree. This is the only feeder that we reviewed that comes with the pole. Like the other feeders, it also comes with a hanger and mounting hardware. 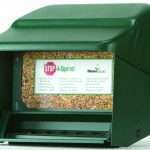 This is possibly one of the easiest feeders to fill and clean. Simply unlock the squirrel-resistant lid, lift it up, and fill the compartment. It will stay open until you close it. A baffle at the bottom prevents seeds from spilling to the ground, where squirrels might wait for an easy-to-get snack. The sloped floor encourages every bit of seed to enter the feeding area, preventing seeds from remaining inside where they can absorb moisture and sprout. Multiple drain holes also help to keep the interior dry. This feeder is 16 inches wide, 13.5 inches deep and 11.25 inches high. The Squirrel Buster Classic is our favorite bird feeder. The narrow, cylindrical shape is versatile and allows for better viewing of the birds. 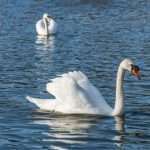 It also seems to attract a wide variety of feathered friends. It’s affordable, and it’s easy to fill, use and clean. The only thing that we don’t like about it is that you can’t adjust the weight-triggered mechanism. Although it holds a decent amount of seed, you might want to choose a larger option if you find yourself refilling it too often. Both of the other feeders that we reviewed have a larger capacity. If you have a little more money to spend, we would recommend the Woodlink Absolute II. We love its large size and the fact that birds can feed from both sides. However, if you don’t have many birds feeding from it, you might have trouble with moisture getting into your seed.